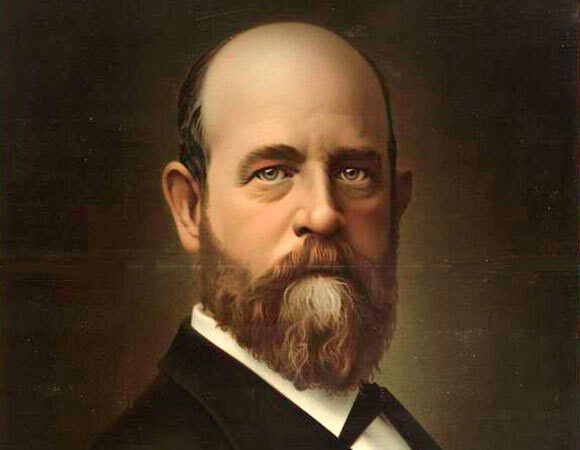 Henry George was a political economist who hailed from the United States of America. He is best known for advocating the ‘single tax’ and founding the branch of economic philosophy termed as Georgism. George was born on 2nd September, 1839, in Philapedia, Pennsylvania. He was raised in a lower middle class family alongside 9 of his siblings. He was enrolled in the Episcopal Academy by his father to obtain religious education which George detested. He soon abandoned his studies in an attempt to flee to Melbourne and Calcutta via sea, all at a tender age of fourteen. George later returned to the U.S. and moved to California. Suffering from financial troubles, he entered the newspaper industry in 1865. George started off from bottom but slowly climbed up the ranks, becoming a journalist, an editor and a proprietor in the process. He also edited his own newspaper, San Francisco Daily Evening Post, for the four years between 1871 and 1875. In 1879, George published what is arguably considered his most renowned work, Progress and Poverty. He elaborated on the issues of inequality in his book, touching on the cyclic nature of industrial economies and curative function of the land value tax. This book amplified George’s influence in the United States, as more and more people, especially young and aspiring intellectuals, subscribed to his ideas and began debating on them. George eventually contested the elections for Mayor in New York, but just fell shy of victory. George was a staunch believer in the single tax system. He believed that governments should fund all their outlays from this one and only tax on ‘unimproved land’-the value of the natural state of land without any artificial additions or improvements on it, such as landscaping, buildings etc. George’s inclination stemmed from his view that taxes reduce incentives for people to earn, in turn decreasing productive behavior within the economy. Thus he argued that land should not be taxed on its improved component, since this involves effort and opportunity cost of the owners, but only on its natural component whose value arises from demand, which is not earned. Hence, this approach would not curtail productive behavior as the earned value of the land is not taxed at all. George throughout his career was also a keen proponent of free trade. He rejected the idea of protectionism, arguing against the role of the government in protecting the local industry. This is because George felt that by implementing barriers to trade, the government was in fact trying to prevent the desire of the locals to buy foreign goods rather than the curb the desire of foreign producers to sell them. Thus, he claimed that protectionism went on to harm the protected rather than promote their interests. George also wanted the US to adopt the process of a secret ballot. He was against the notion that voters’ choices be disclosed to the public. George published a number of articles, “Bribery in Elections” and “Money in Elections” among others, in which he expressed his backing of the secret ballot. His wishes were eventually granted as by 1888, the secret ballot had been adopted in Massachusetts, and later on in other states as well. George passed away on October 30th, 1897, after a series of strokes, the second of which came during his campaign to run for the New York City Mayor.